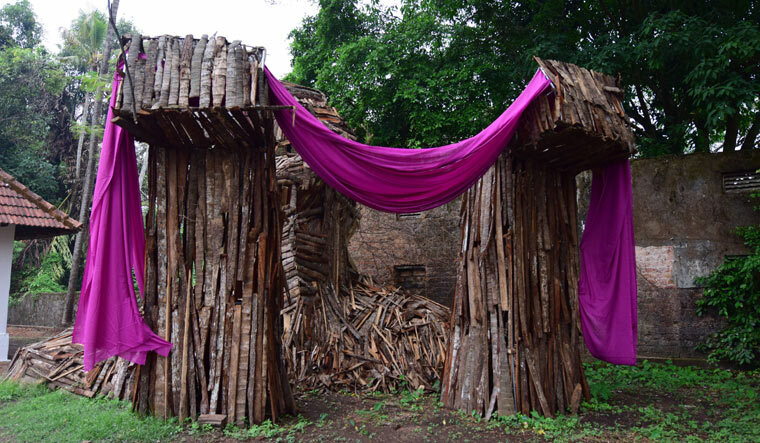 “There was a time when I did not have a shirt to wear,” says Rajish Chacko, pointing at his installation—a banyan tree with colourful clothes draped around its trunk. “Clothes have fascinated me, and years of travel have given me a big box full of draperies. I am giving life to what people discard as waste and unwanted.” It is not just the old banyan tree that has been enlivened; for many young artists like Rajish, the Kochi-Muziris Biennale has provided a one-of-a-kind platform where ideas come alive. 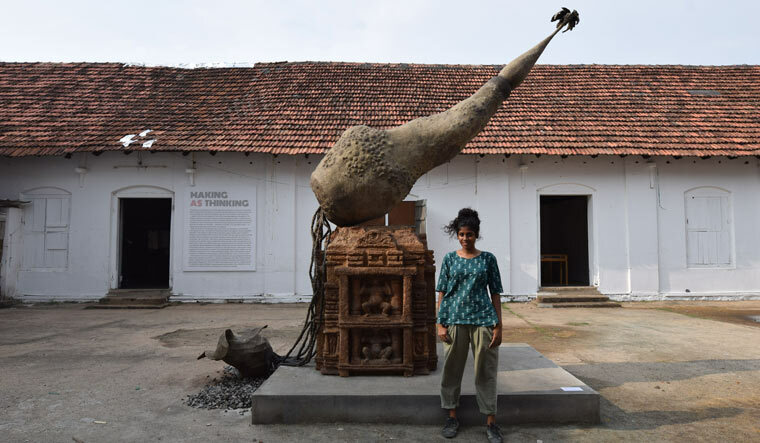 Spread across six venues in Mattancherry and Fort Kochi, the Students' Biennale, that runs parallel to the main biennale, nurtures skills and enables young artists to experiment with their art and exhibit on an international platform. The 2014 edition of the biennale heralded the entry of young talents from across South Asia, as part of the Students' Biennale. It turned bigger this year with students from SAARC countries joining in. The Kochi Biennale Foundation (KBF) collaborated with the Foundation for Indian Contemporary Art and Foundation for Indian Art and Education to develop the Students’ Biennale, a parallel stage for budding Picassos or Mary Cassatts. “When the biennale kickstarted in 2012, it was conceived as a site for learning. As a part of the higher education programme, student artists were brought to Kochi and much like the KMB artists, they were given site visits, budget proposals and asked to develop some projects. By 2014, there rose a need for a dedicated students programme—the Students’ Biennale,” says Faiza Hasan, education coordinator, KBF. “In 2018, two conscious components were developed within the Students’ Biennale programme—the exhibition format in Kochi and the expandable education programme which runs through the year before the biennale,” says Neha Arora, programmes manager, KBF. As part of the education programme, prominent artists and art educators conduct workshops in art schools and colleges across the country, teaching students about the immense possibilities of using technology in art practices and engaging in art histories. The Students’ Biennale has become a befitting platform for these promising young creators to explore and express their ideas which otherwise do not find a space in their regular curriculum or academic institutions. “What is the need for an institution? Students must come out of these institutional discourses. We are opening this platform for those students with ambitious projects in mind, but do not have the facilities to do so,” says Kochi-Muziris Biennale co-founder and artist Riyas Komu. A production support grand, proposed this year, allots Rs 25,000 each to selected works of student artists. “This acts as a helping hand to those students who are ambitious and have largescale dream projects in mind,” says M.P. Nishad, a Students’ Biennale curator. Students have freedom of creativity; curators only guide them rather than interfering or limiting them to certain spaces or themes. “We discuss their works and support them, some students have their own perspectives of how things should be, but when we talk to them from our experiences they find new dimensions to it. Sometimes all we do is provide the needful resources and let them progress,” says curator T.P. Rajiv. Students are mentored through workshops and site-visits rather than mere explanative techniques. “We take them to workshops or to the main biennale venues and ask them to observe and respond to others' works too,” says Nishad. The curators form the real backbones of the Students’ Biennale. From guiding them, discussing perspectives, to even doing most of the ground work like providing materials and setting up sounds and lights, curators have endeavoured throughout the process. “All six of us have been here for around six months; we have strived hard for this and ensured not to echo the mistakes of the previous seasons,” says Nishad. Besides the learning and unlearning processes, the Students’ Biennale is also about forging new bonds. When students from different parts of the country and beyond, with varied cultures and traditions come, work and learn together, there are relationships built; connections made which help the collective growth of art. “I just wanted to create a discourse so people would come, sit, dance and have fun together. The biennale helped me do that. 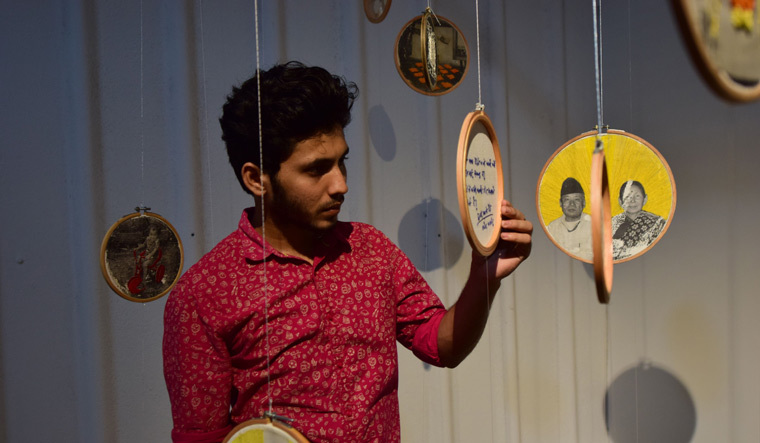 This space helped me get a lot of friends, learn new things and even understand cultures,” says Aasythama, an artist with the Students' Biennale that includes over 200 student artists from across the country and nearly 30 students from SAARC countries. “Everyone here is connected; we are like a family now,” says Rajish.